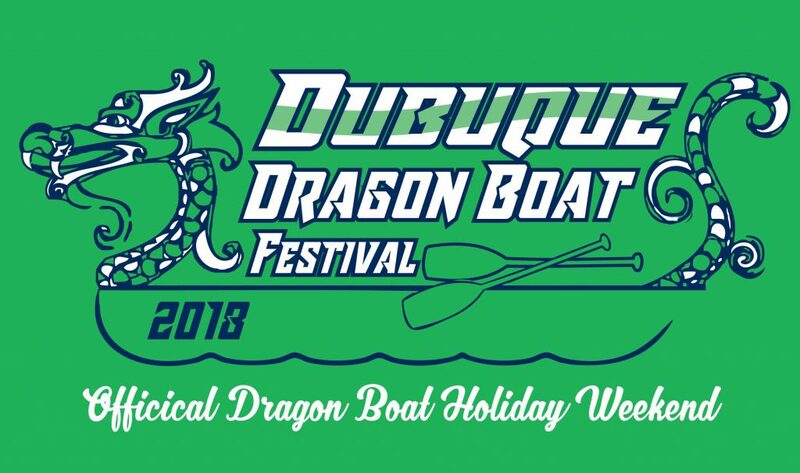 The Dubuque Dragon Boat Association will be hosting the 31st Annual Dubuque Dragon Boat Races here in September 2018. The event will be held at A.Y. McDonald Park. This event typically draws teams from as far away as Minnesota and Ontario Canada that join us on a regular basis for our local races. These teams return time and time again because of the competition, the area, and the hospitality of Dubuque. As most of you know, the rising Mississippi River has closed Miller-Riverview Park. The Dubuque Dragon Boat Festival is still on! A.Y. McDonald Park is located at the north end of Kerper Blvd. (near Sutton Pool and the Yard Arm). The Hawthorne St. boat ramp is located here. Parking will be available at the old Bowling and Beyond parking lot with a shuttle into the park. Teams will still have one team parking pass. Team sites will be on the grass area of the park. (LOTS of room!) There are not any picnic tables at this park so you will need to plan accordingly. Food Vendors will be at the park. Racing starts at 8:00 am, Saturday and Sunday. While we may be at a different site the fun and competition will be the same. Looking forward to seeing everyone!